See the Disneyland Hours September 2019. 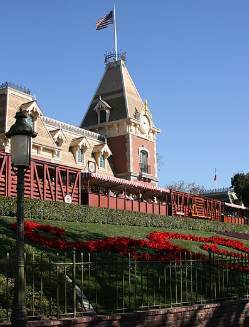 Disneyland Park open time is typically from 8 to 10 AM and close time as late as midnight, but the times vary each day. So check out the park hours in the table below to help plan your visit. Disneyland Halloween begins in September, which means the park closes early some nights, but you can also purchase special tickets to Mickey's Halloween party. September is a great time to visit Disneyland California and Disney California Adventure, as the weather is beautiful, the days are long, and after Labor Day, the crowds have started to thin out. Arrive early to avoid the lines, and take a break during the day if needed before you come back to enjoy the evening fireworks. Labor Day weekend marks the end of summer, so expect some crowds there to celebrate the weekend of August 31 to September 2 2019. Halloween Time at Disneyland park starts in mid September 2019 through October 31, with great decor for the Halloween and Dia de los Muertos. The night before Halloween Time starts, the park close time is early so they can put up the decorations. On select nights when Mickey's Halloween Party happens, the park closes early for regular guests, but those who purchase a ticket to Mickey's Halloween Party, they get to stay for a special treat. When does Disneyland open and close? See the Disneyland open and close times during September in the following table. The early morning admission hours are also included. If the times are indicated as “tent” for tentative, this means Disney has not published the 2018 hours yet. This table estimates the hours based upon last years open and close times. *Early admission hours for Disneyland (DL) or California Adventure (CA) theme parks are one hour before regular park opening time. This requires a special ticket. **Some Disney annual passes are blocked on certain days. All passes are good unless listed here as block out days. Disneyland passes with blackout dates include Signature (S), Deluxe (DL) SoCal (SC) and SoCal Select (SCS) annual passes.